Is there a better alternative to Paper Shredder? Is Paper Shredder really the best app in File Management category? Will Paper Shredder work good on macOS 10.13.4? Paper Shredder…Don't want to wait while you "Secure Delete" the entire trash just to wipe one critical file? Tired of sending files to the trash, then having to empty it? 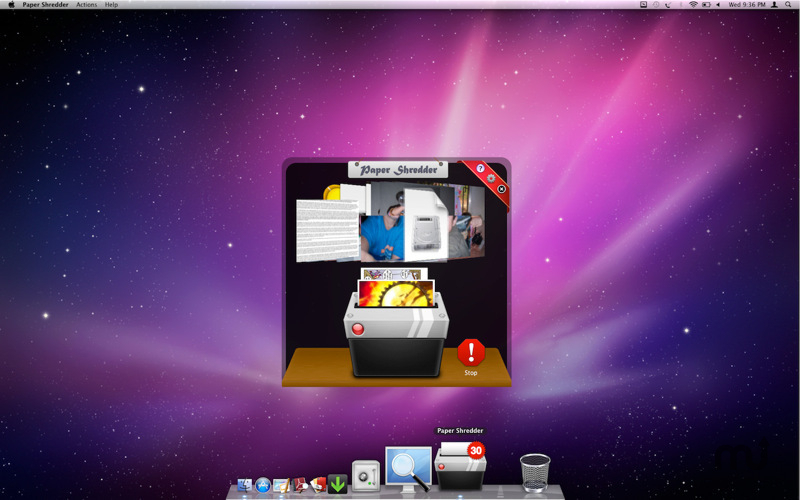 Paper Shredder is a beautifully-animated, dead-simple way to immediately Secure Delete files. Preference available for Dock-only mode (no window), so you can keep your workflow direct and unobstructed. Option to secure delete using 1-pass, 7-pass, or 35-pass DoD-compliant Guttman secure delete algorithms. Paper Shredder needs a rating. Be the first to rate this app and get the discussion started! Other preferences help you fine-tune your experience: launch on login, "overwrite with zero" after deleting, and an optional history list. With Paper Shredder, you know it's gone.